Button-up dressy shirt, looks classy in city and on trail, stealth zipper chest pockets, stealthy aeration holes for ventilation, wind moves through it to keep you cool on hot days, clasp to hold in short-sleeve position, collar that pops to cover entire neck, breathes exceptionally well, quick drying, built-in UV protection, great for hot days. During the summer months, this shirt has become my go-to tripping shirt. It gives me a highly professional look while giving me the performance and breathability needed to keep me comfortable. I’ve been told a number of times that I’m often the fanciest climber at the crag. What I especially love about this button-up is that Mountain Hardwear has punched out the tiniest holes throughout the shirt to let air in easily so that it can keep you nice and cool, but they did it in such a way that it actually just looks like a sweet pattern to the shirt. Only when I get people to look closely, do they realize that there’s actually holes in the garment. Now, these holes are mostly a blessing. When the wind get chilly and strong though, it’s important to have something to throw on top of this shirt, because it’s equally good at letting cool air in when you’re already feeling a little chilly. I should also make sure that while reading this, you are aware that there’s the Canyon Long Sleeve shirt and the Canyon AC Long Sleeve. The AC means they’ve put the holes in. On top of all that, this shirt is highly functional. It’s got two chest pockets with your standard flaps for coverings, but it also has two hidden zippers on the side of the pockets. This allows you to either stash some belongings that you don’t accidentally want pick-pocketed, or to leave open and to allow for extra ventilation. When you roll up the sleeves, Mountain Hardwear has attached a little button-up latch so that your sleeves stay rolled up no matter what you do. This is nice, because it definitely adds a touch of style to the shirt, but also, again, helps in keeping you cool. It’s also made from polyester, so it’s quite quick-drying. Especially with the aeration, all the moisture vanishes quite quickly. Because of my body shape, I would love it if they came out with a version of this shirt that had more of an athletic cut, but the relaxed cut looks good as well. 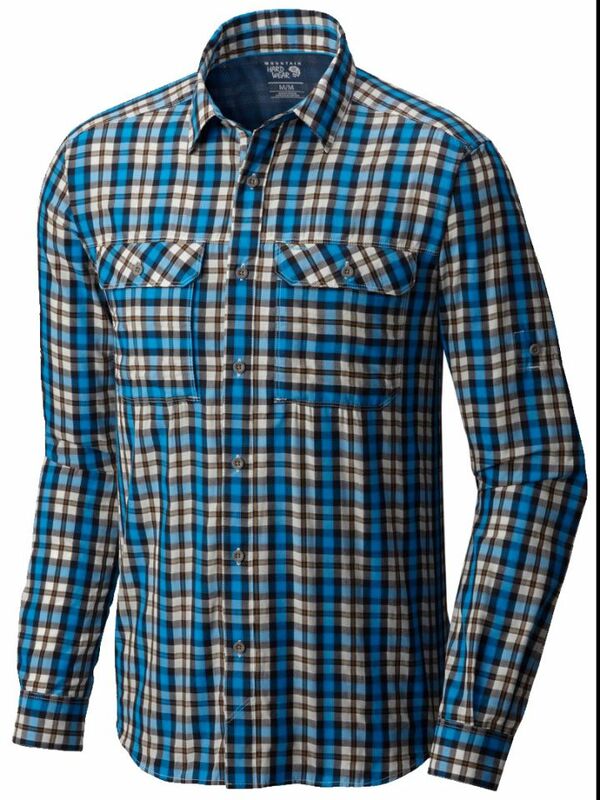 So far, I’ve worn this shirt to business meetings, to presentations, to dates, to go dancing, on climbing trips, on paddling trips, while hiking. Basically, I’ve worn this shirt often and in a lot of situation, and I absolutely love it. Newer PostHow should I do dishes without making a mess and dirtying the environment?